I’ve updated this post because there is a whole Pinterest section with cookie exchange ideas. You’ll find loads of tips on invitations, packaging, rules, menus, and recipe suggestions. Here are some of my personal recommendations for cookie exchange cookies. 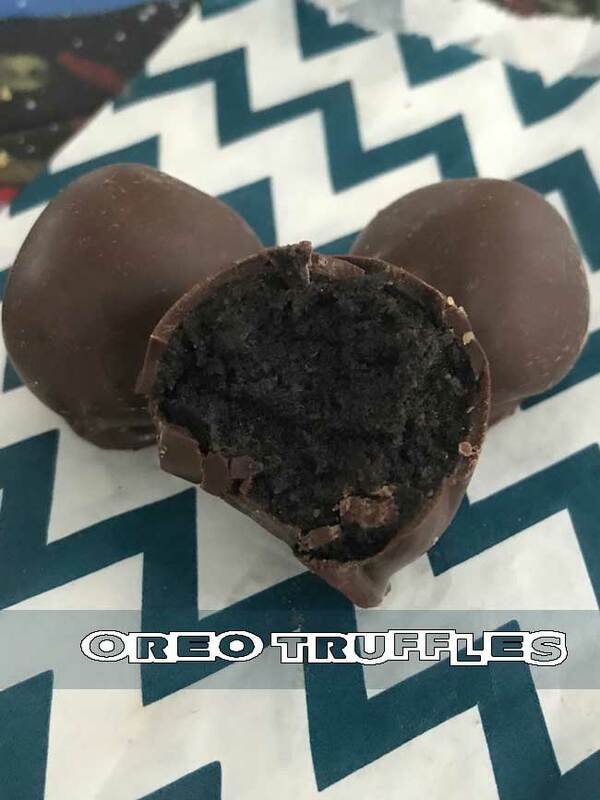 Oreo Truffles always go over well and are easy to make if you have a food processor. Everyone expects and appreciates Easy Pecan Crescents (make with the best quality pecans you can find). Texas Pecan Chewies freeze well and are fairly unique. What would a cookie exchange be without Mexican Wedding Cakes? Make them with European style butter if you can find it. Sachertorte Cookies are unique and fairly holiday-ish. Anise tastes like licorice in it’s own way. It’s used in some Italian and Greek cookies and pastries. Ouzo has anise. I’ve never seen the point of cookie exchanges. For as long as I can remember I go on a baking marathon and do twenty or more varieties of cookies resulting in seventy pounds or so of cookies. I send them to family and friends. There are a few types I always make, and some varieties show up occasionally and then there always new ones to include. It’s sort of a Christmas present to myself. I use only the finest ingredients and all cookies must be perfect. I don’t start actually baking until about December 10th but I only use recipes where the cookies keep well. A columnist in our local newspaper puts together driving routes of the best Christmas lights and he raises money for charity by taking bids to go with him. In past years he’s raised about $10,000 so people are pretty generous. People with the winning bids also get a box of my cookies. Thanks so much for sharing all of these (and the previous) recipe links. And, I can always use a good cookie recipe. Instead of a cookie swap, my family hosts a cookie party. I make loads of cookies and all of our family friends come over for a fun open house-type party. The kids have their fill and wreck the house, but I enjoy it and have fun. Anna, I’m lovin’ all these great cookie lists. Now just if time and my fat gut would allow me to make and taste them all! Sigh. Clara Curtis–I don’t know that I’ve ever knowingly had anise either, but have learned (through cooking shows) that anise and fennel both have a licorice taste to them. I may sound weird for asking this, but what does anise taste like? I’m told its like fennel; but then I don’t even know what fennel tastes like! I love december: all my dreams come true as everyone is posting yummy cookie recipes!